In most commercial leases, the tenant will need to undertake and make certain improvements to the leased premises. In some instances, the commercial space will be raw and will require a complete build-out, in others the tenant may only need to make minor improvements to the leased premises to fit for its intended use. Despite whether the improvements are big or small the tenant will be hiring a contractor, subcontractor, laborer, and/or material supplier for the project – all of these are potential lienors pursuant to Florida law. Landlords must take certain steps in order to guard themselves from any claims brought by contractors performing tenant improvements. If a tenant contracts for improvements because the improvements were required by the lease agreement with the landlord, then the lien may extend to the landlord’s property interest. The lien will not attach to the landlord’s interest if the improvement is optional. If a tenant contracts for an improvement because the improvement is “the pith of the lease” agreement with the landlord, then any contractor liens arising from the improvement will also extend to the landlord’s property interest. Improvements are considered to be the “pith of the lease” if they constitute the “essence” of the lease, they are “essential to the purpose of the lease,” or they are otherwise vital to the perpetuity of the lease. The general standard the court applies is if the lease would not have been executed but for the agreements regarding the improvements, then any such improvements will be considered to be the pith of the lease. Anderson v. Sokolik, 88 So. 2d 511 (Fla. 1956). Express Language: the lease agreement between the tenant and landlord must include a specific provision in the lease that “expressly provides that the interest of [landlord] shall not be subject to liens for improvements made by the [tenant].” § 713.10(2)(a), Fla. Stat. Recordation in Official Records: Prior to the recordation of the notice of commencement for the improvements, the landlord must record either: a copy of the complete lease or a short form memorandum of the lease that includes a copy of the express no-lien language. In a lot of commercial settings landlords will have several commercial leases for one piece of property. In these circumstances the landlord may record a blanket notice for the property which includes the following information: (a) the name of the landlord; (b) the legal description of the land to which the notice applies; (c) the specific language contained in the various leases prohibiting the landlord’s liability; and (d) a statement that all or a majority of the leases entered into for that parcel of land expressly prohibit this type of landlord liability. § 713.10(2)(b)(2), Fla. Stat. Landlords should under no circumstance execute any permit applications and/or notices of commencement for tenant improvements. If this is done then the tenant’s contractors and lower tiered lienors may reasonably believe and rely that the landlord ordered the work and is responsible for payment. Furthermore, a contractor lien “extend[s] to, and only to, the right, title, and interest of the person who contracts for the improvement.”§ 713.10(1), Fla. Stat. What this means is that the tenant should be deemed the owner for applying for permits and recording the notice of commencement for the project, the tenant should be listed as a leasehold owner that a lien can be recoded against, and the landlord should be the fee simple owner that clearly provides that a lien cannot be recorded against the landlord’s interest. In the event that a contractor is not aware of any prohibition of liens, the contractor can serve a written demand for same upon the landlord. Pursuant to § 713.10(3), Fla. Stat., a contractor may serve a written demand on the landlord for a copy of the specific provision in the lease prohibiting landlord liens. The demand must identify the tenant and premises at issue. The landlord must then provide a verified copy of the lease provision within 30 days of the request. If the landlord fails to provide the specific lease prohibition provision within this timeframe then landlord can be potentially subjected to the contractor lien. Brendan A. Sweeney, Esq., of Sweeney Law, P.A., has negotiated and litigated complex Florida commercial leasing and construction law issues throughout Florida. Brendan A. Sweeney, Esq., is an AV Preeminent Martindale Rated Attorney, that has been recognized as a Florida Legal Elite Rising Star Attorney in 2014, 2015, 2016 2017, and 2018. 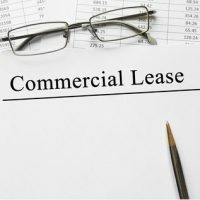 If you have any Florida commercial leasing questions and/or issues then contact Sweeney Law, P.A. at (954) 440-3993 immediately to protect your rights. www.sweeneylawpa.com.